There are a lot of unknowns when dating someone from another race for the first time, and that goes for anyone of any race. 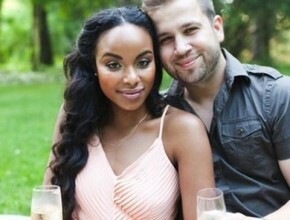 But, if you’re a white guy looking to date a black woman – this article is especially for you. Each race and even geographical area has its own customs, culture, and lifestyle, and the most likely is that your background is much different from that of a black woman. But, no worries. Here are 8 tips on dating a black woman for the first time. Read, and then go out and rock it! This isn’t specific to just dating black women – it’s actually universal within interracial relationships. There is always someone that doesn’t like what you’re doing, and there’s always someone judging. It may be family members, it may be friends. But either way, it WILL happen. It’s not funny, fair, or easy to deal with. But the more you’re mentally prepared and willing to deal with it, the happier you’ll be. You can either ignore it, or you can take it personally, and it’s not hard to figure out that ignoring it is the best way to handle it. You’ll avoid more problems in the long run. What’s your biggest fear? That black girls don’t like white men. Right? But that’s not the case at all. 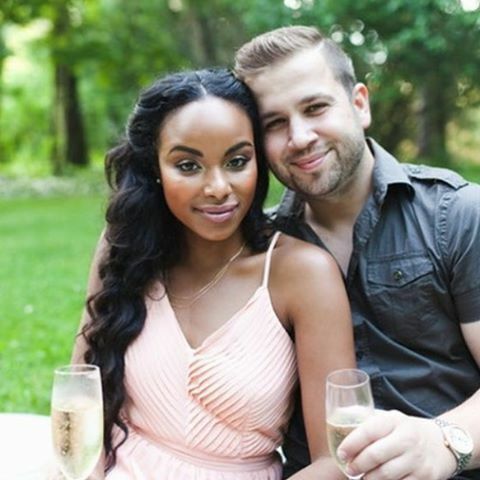 Most black women will have no problem with dating white men. Just stop worrying about it. When you date a black woman, remember – you’re not the only one in the situation. She’s also getting weird looks and comments, and has the same worries and questions as you do! So, take it easy on each other, and be compassionate. As tempting as you think it may seem, that is NOT the way to get the girl. You’ll lose respect points right off the bat if she sees you trying to act black. No baseball caps, no idolizing rap artists, no starting every sentences with the word ‘‘jo’’. Just don’t. If anything, it will push her further away more than helping her feel attracted. If she wanted a black man, she’d be dating a black man. But she isn’t. So, be yourself. Not all black women are the stereotypical black woman. Obviously. Most of them aren’t. We’re talking the big booty, butterfly tattoo girls. The loud ones with the huge hoop earrings. If you really believe that all black girls are like THAT, then you need a reality check. Forget about pop culture, movies, and whatever else has given you an impression of black girls. You have to get over that before you go out, because if she feels that you’re expecting her to be like that, or that you’re thinking she’s a hoe – it’s going to be over really quickly. Overall, you just have to be yourself, and let her be herself, and see where it goes. It’s not difficult or strange – it’s an awesome opportunity to learn, grow, and have fun.